Description: Cathedral Agios Andreas (Saint Andrew) in Patras, Achaea, Greece. 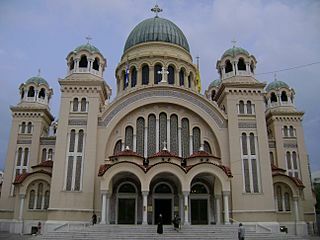 The church construction began in 1908 under the supervision of the architects Anastasioa Metaxas and then Georgios Nomikos. It was inaugurated in 1974. 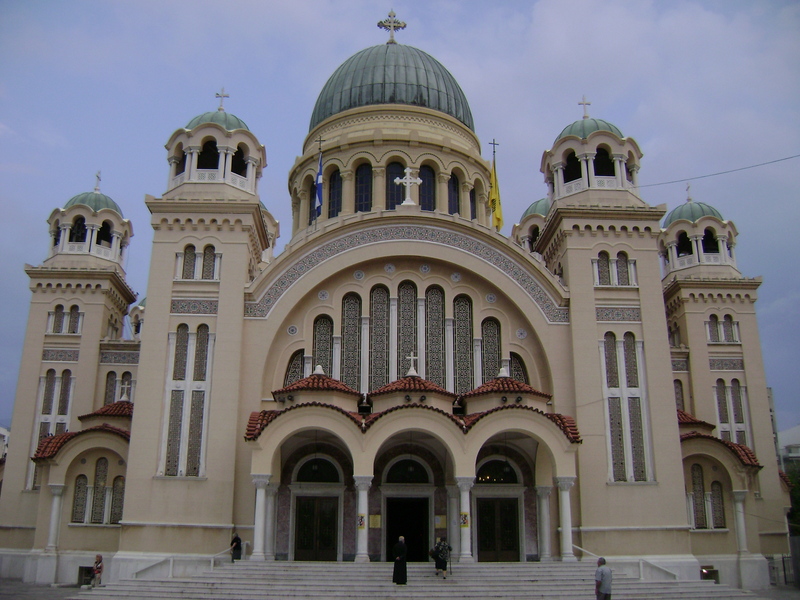 It is the largest church in Greece and the largest byzantine-style church in the Balkans. It keeps the relics of the apostle Saint Andrew.